Walled City Cafe - in the lanes of Jama Masjid - CHOMP! SLURRP! BURP! When it comes to food, Jama Masjid takes you back to Old Delhi streets, kebabs and curries. Or some aloo poori and lassi in the neighboring gallis of Chandni Chowk. This trip down to Jama Masjid however to visit this new cafe in the winding crevices. The Walled City Cafe is housed in a real-life Haveli with stained glass windows, beautiful foliage, and all things vintage. The most challenging part of Old Delhi is navigating the streets, but these guys have a lot of signage boards up to guide you throughout. This cozy rooftop cafe has a number of seating options. If only the roofs could have been higher so the view could have been a better one. 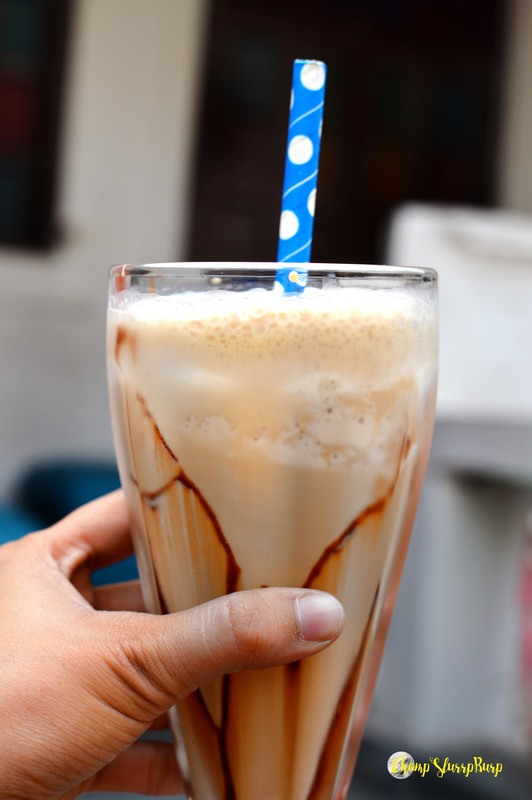 We started with a wonderful homemade cold coffee – a thick, creamy blend topped with chocolate syrup. 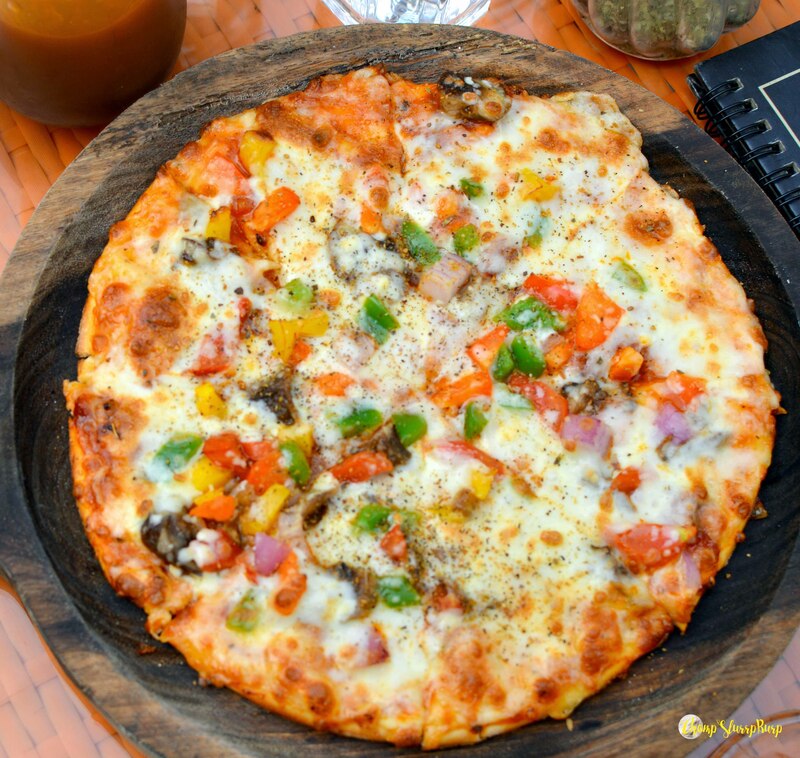 Exotic Veggie Pizza – a thick crust well-baked pizza, topped with tomatoes, bell pepper, mushrooms and lots and lots of cheese topped with seasoning. A very homely preparation. 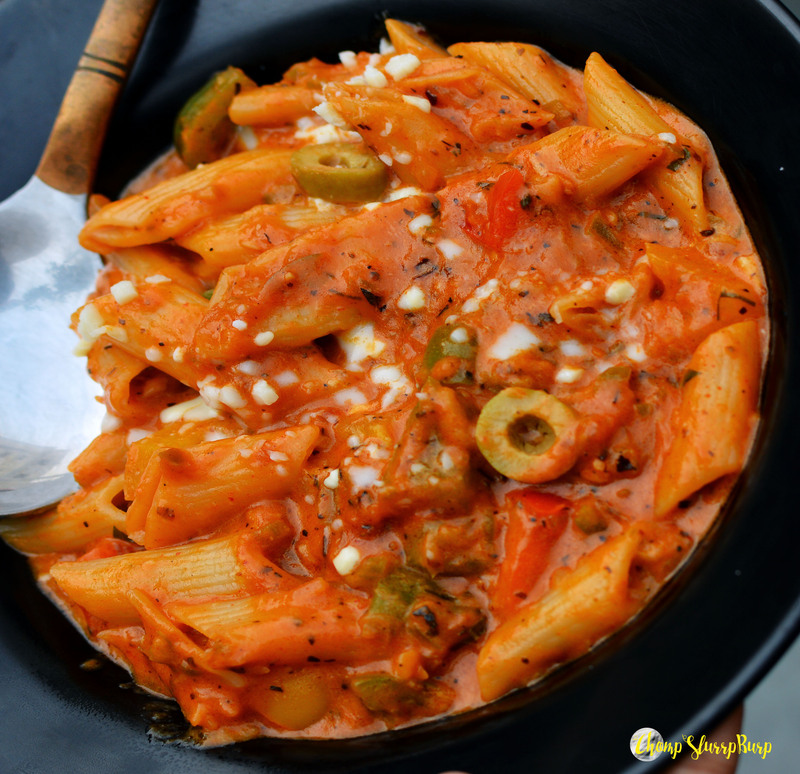 Veg penne arabiatta – now this was more of a fusion dish. The pasta was a little overcooked and so fell apart in the sauce a bit. The sauce had a tad too much ketchup and was not a traditional arabiatta but more a toned down desi version of it. 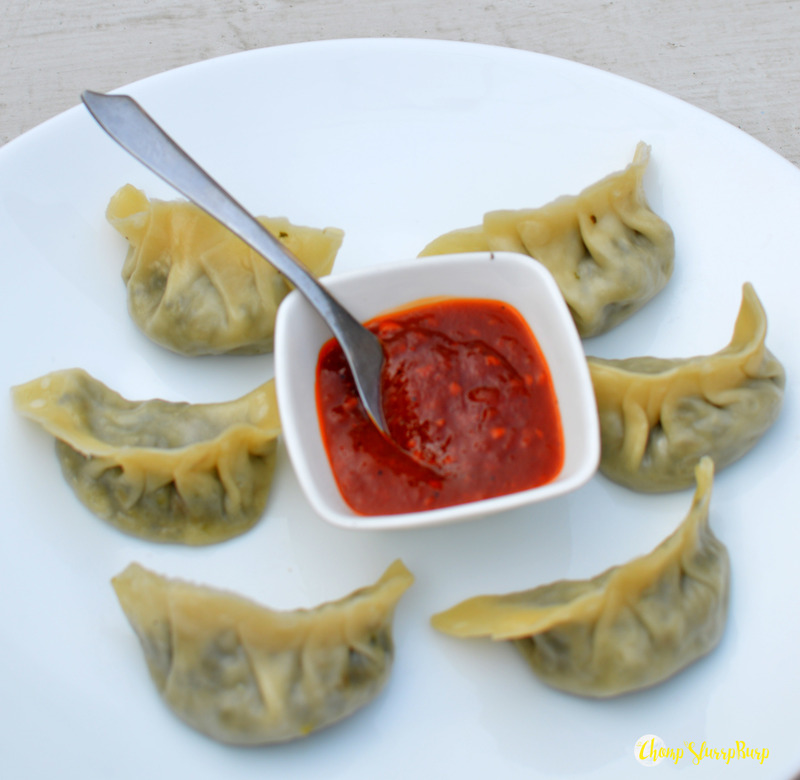 Burnt spinach and garlic momos – freshly rolled and stuffed momos with toothsome spinach leaves tossed with burnt garlic. Absolutely delish. Walled City Cafe has a lovely ambiance and is ideal for a casual cozy catch up in the Sun. The food is pretty good but the prices are a little steep for their prices.